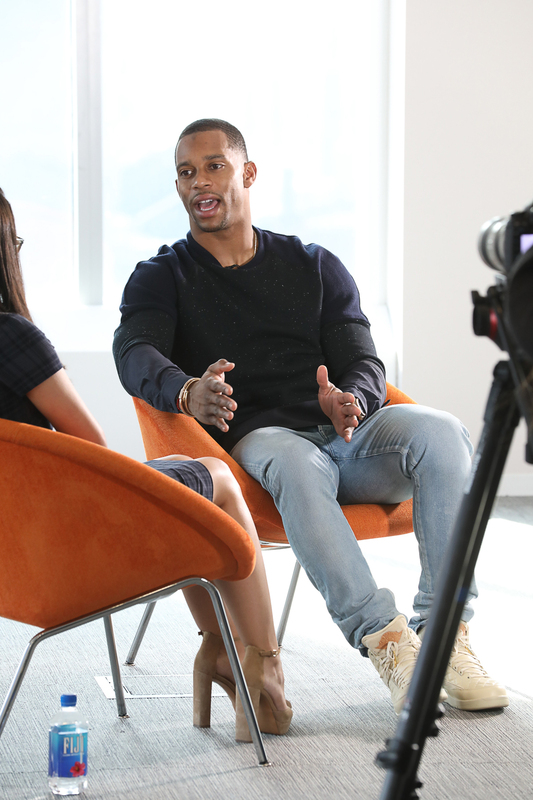 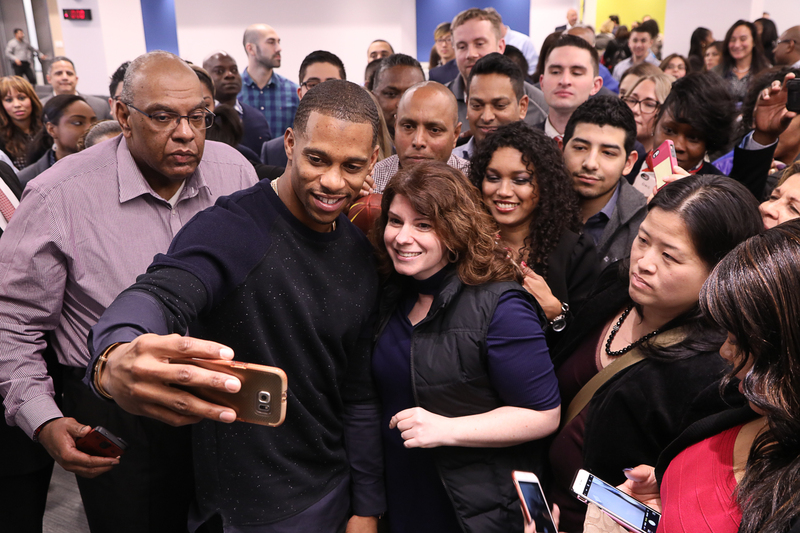 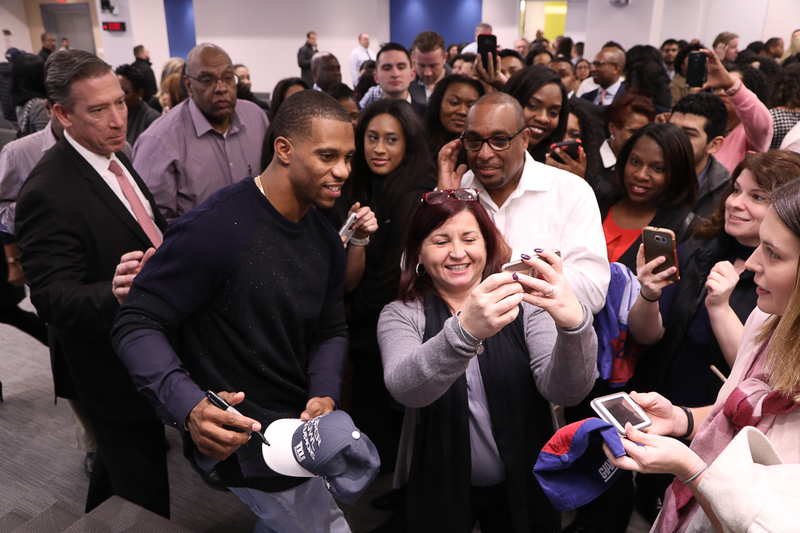 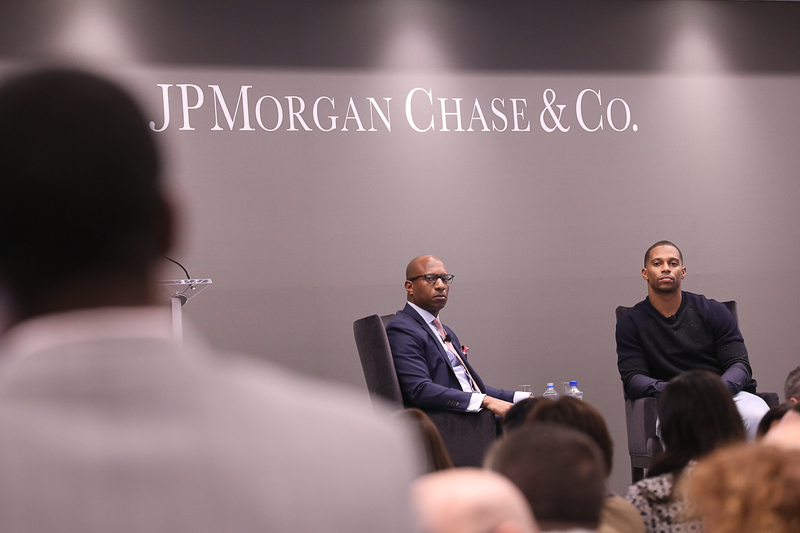 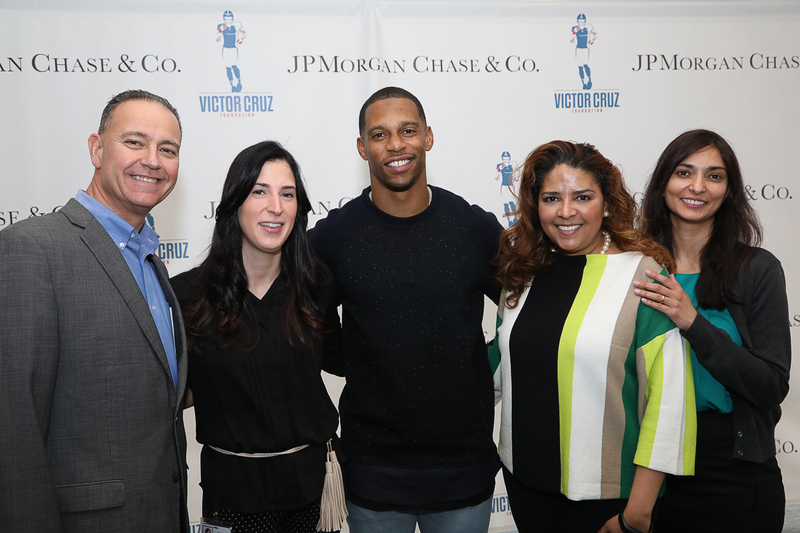 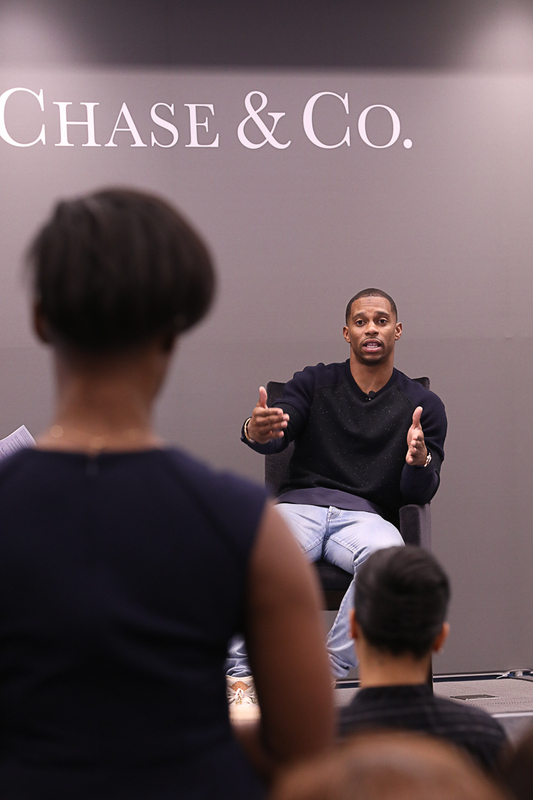 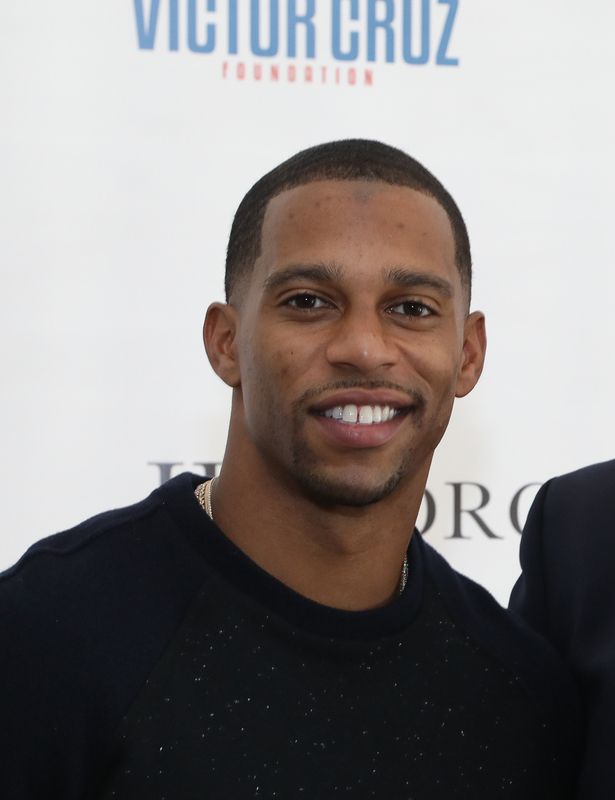 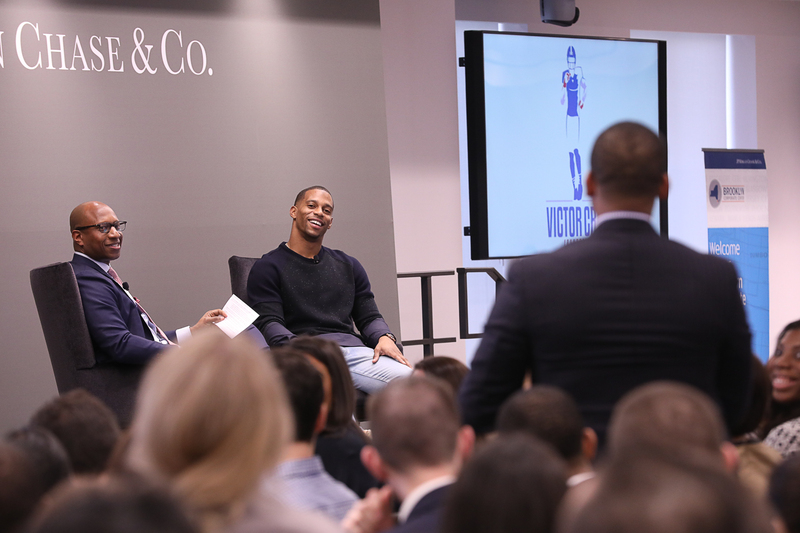 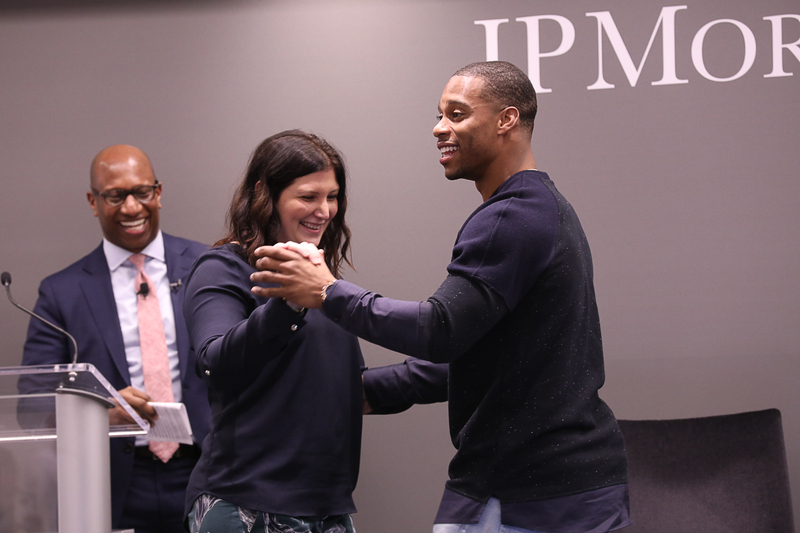 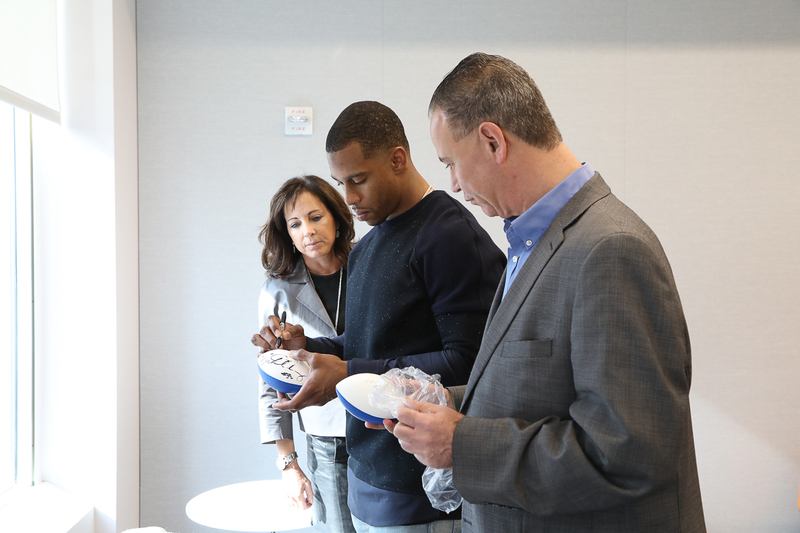 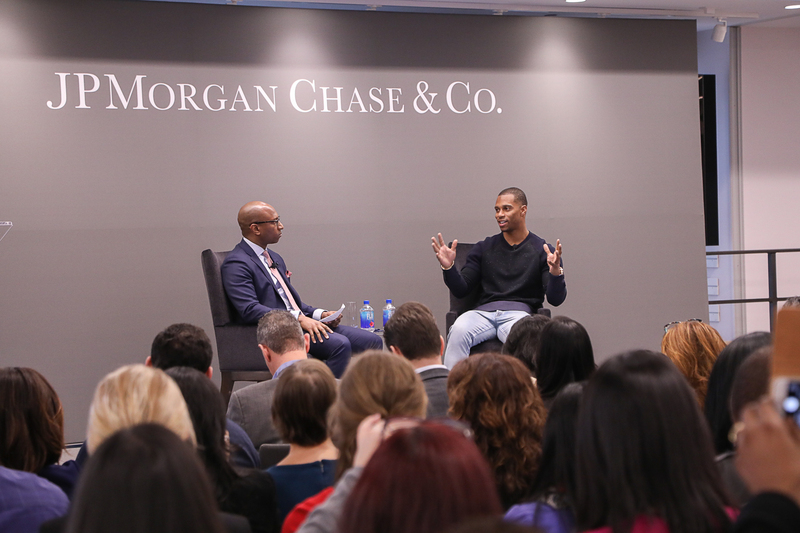 On Wednesday, February 8th Victor Cruz spoke to over 600 JP Morgan and Chase Co. employees to talk careers, overcoming obstacles and the Victor Cruz Foundation. 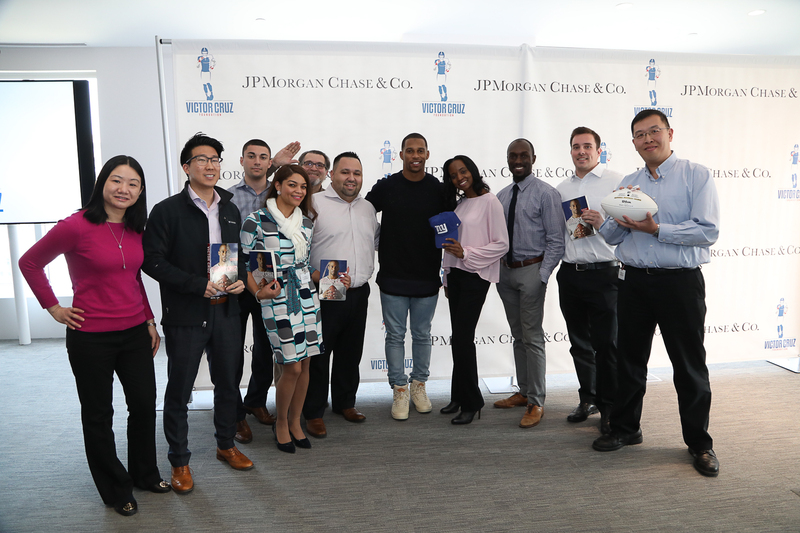 With a little uncertainty of where he will be actually hitting the green next year, Cruz spoke about why financial literacy has been a priority for him not only now but throughout his career. 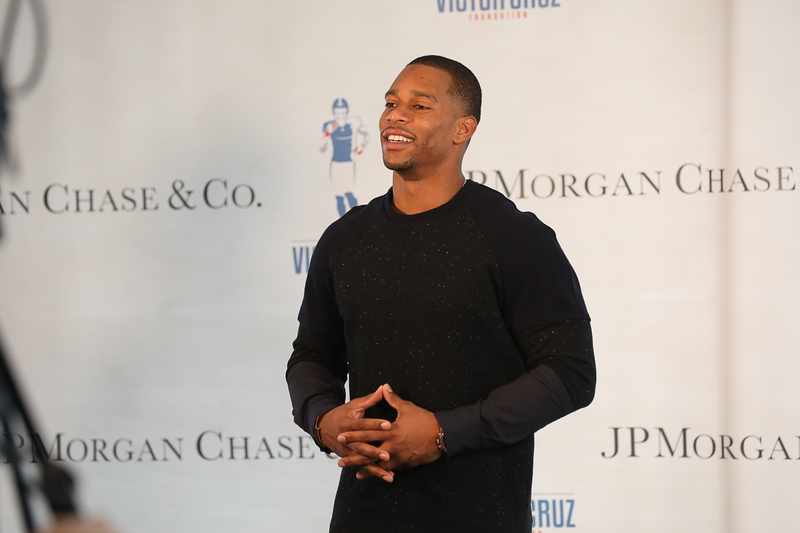 Cruz also spoke on things that will remain consistent throughout his lifetime, such as the efforts and impact of the Victor Cruz Foundation. 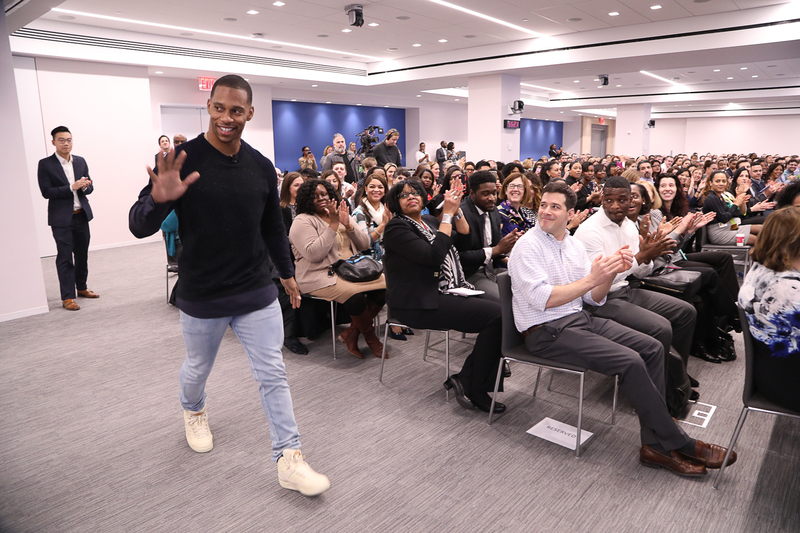 His hopes are to continue expanding the foundation’s efforts to support underrepresented youth across the US to engage them through hands on programming toward future STEM careers.